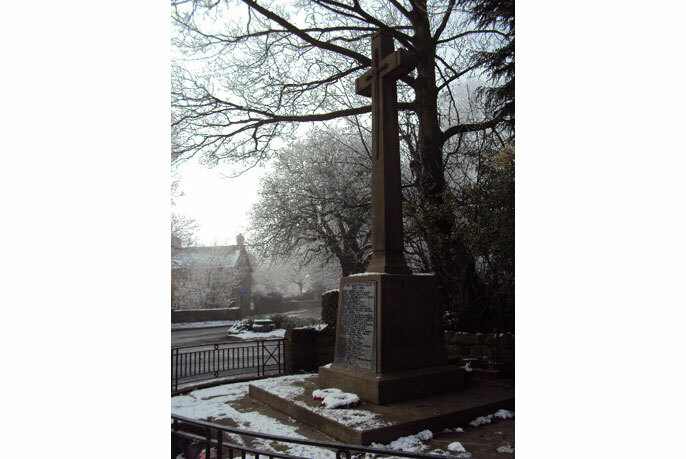 Our war memorial consists of a Latin Cross with a stone sword in relief on the face of the cross. 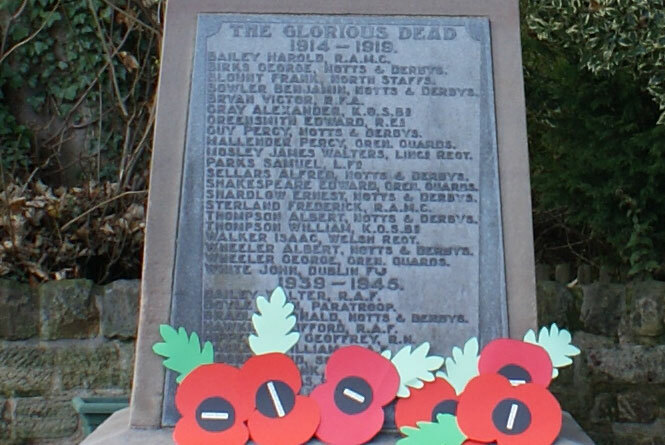 The stone plinth bears a bronze plaque with the names of the men from the Village who fell in World War I and World War II. 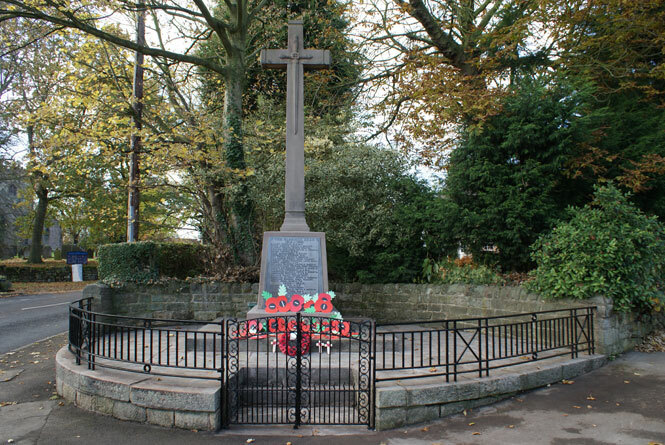 The memorial is constructed from a local Rowsley Stone and is surrounded by iron railings. 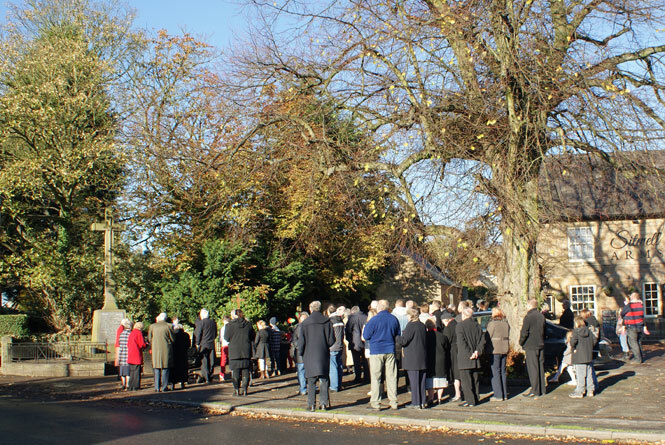 It is located on the corner of Stretton Road in Morton, Derbyshire. A corner site adjacent to the Sitwell Arms Inn was presented by the owner, Miss Gadsby, about the year 1920. It was erected by means of public subscriptions. 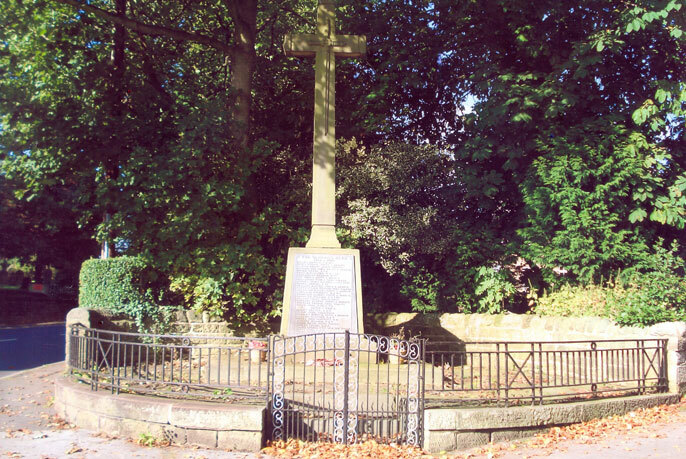 A stone cross of Rowsley stone, surrounded by the shape of a half moon by iron railings, into which a gateway was inserted at a later date, with a stone boundary wall at the back near Church Farm. 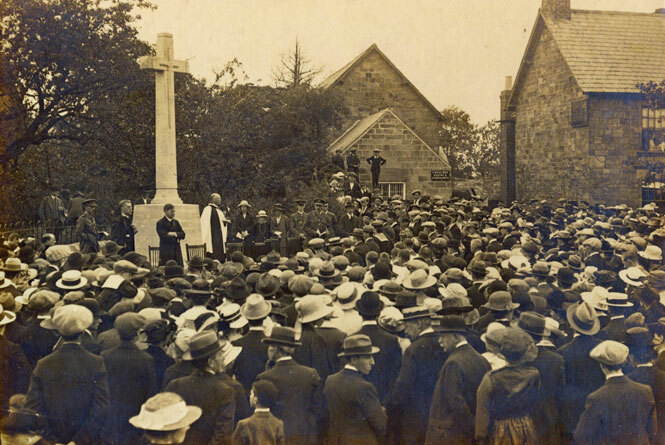 The site was vested in the Parish Council and the memorial was maintained and cared for by a Committee appointed by a parish meeting. 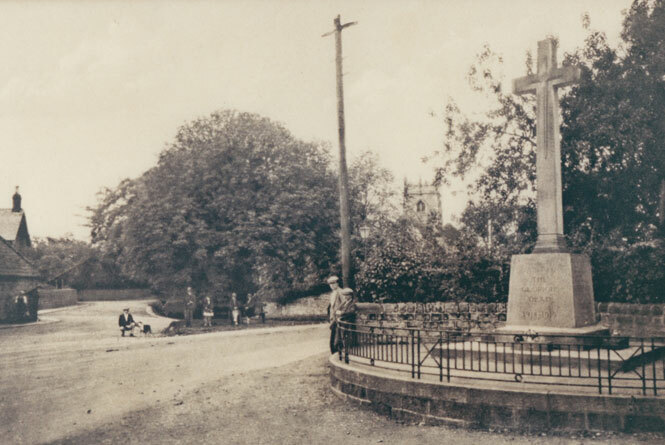 Monies in hand from the 1953 Coronation festivities in the village were kindly handed over to the Memorial Committee for the purpose of providing entrance gates to the memorial. These were made by a well known Derbyshire craftsman and erected by him. Special stone steps have been arranged to suit and the whole scheme adds dignity to the memorial and has effected a great improvement. The following conservation repairs were undertaken in November 2012: cleaning, re-pointing using lime mortar, re-laying paving and stripping and re-painting railings. 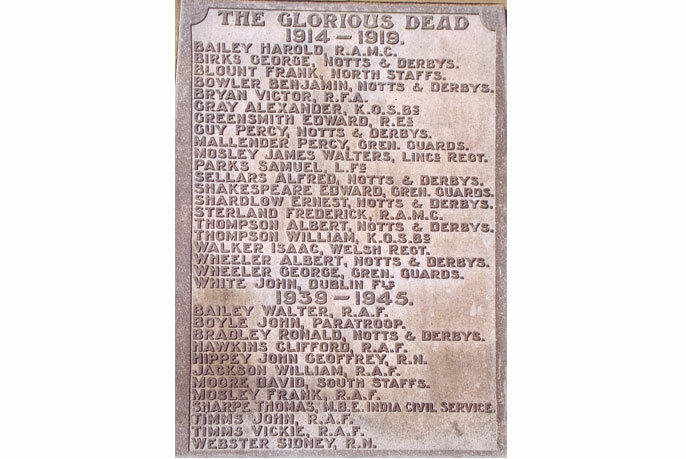 There are plaques in Holy Cross Church commemorating the dead from both World Wars. 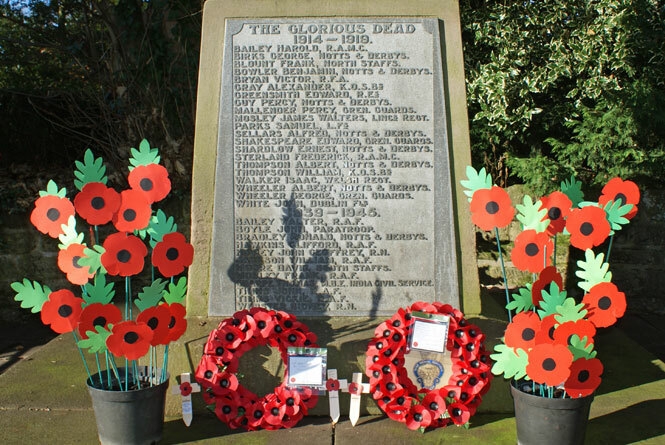 Thanks to Ann Krawszik for researching the names on the Morton War Memorial relating to the First World War. She has researched the circumstances of these deaths. 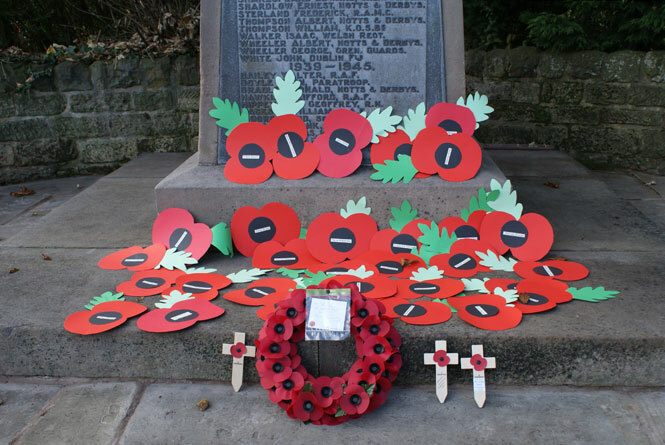 Ann was helped by Mr Richard Taylor and supplemented her research using the online resources of the Commonwealth War Graves Commission and the Armed Forces Records. Ann also wishes to thank Derbyshire County Council’s Chesterfield Library Local Studies for access to the Derbyshire Times on microfilm and Rosemary Taylor for additional information and access to the Canon Prior letters in particular. If you have further information in respect of any of these that we can include on the website, please let us know by contacting Andrew Coates.